Can You Die From a Demerol Overdose? Can You Overdose on Demerol? A Demerol overdose happens when a person ingests a toxic amount of the drug. 2 An overdose can have serious and potentially fatal consequences. Knowing how to detect and to respond to an overdose can minimize the risk of serious consequences. Who Answers? to speak to a treatment support representative about choosing a recovery center for Demerol addiction or overdose. When the person took the drug. Whether or not it was prescribed. The symptoms that you observe. Be sure to remain with the overdose victim until medical attention arrives. Keep a close eye on the person’s condition and report any changes to emergency response workers. Locking up and properly disposing of medications. Not mixing drugs and alcohol. Who Answers? to learn more about options to help you get clean and sober. Treatment for a Demerol overdose depends on the person’s condition and the severity of the overdose. Gastric lavage to empty the stomach. A slurry of activated charcoal and water to bind any remaining unabsorbed drugs in the stomach. Naloxone rapidly reverses the effects of an opioid overdose. In some cases of an overdose, naloxone may be administered by a medical professional or other person with specialized training. 5 Naloxone rapidly reverses the respiratory and cardiovascular effects of an opioid overdose by binding to and blocking further activation of the opioid receptors in the brain. A person who has stopped breathing may be able to recover if the overdose is treated in time. Naloxone is available as an injectable liquid or nasal spray. 5 It may be sold in drug stores, either over-the-counter or by prescription, depending upon state regulations. Local community programs may offer training on how to administer naloxone safely. Naloxone administration will not reverse the neurotoxic effects of Demerol and its metabolite chemical, normeperidine, should they be present. Intentional overdoses can occur when a person experiences persistent thoughts to end his or her life. Suicidal ideation sometimes occurs in association with depression, bipolar disorder, posttraumatic stress disorder, and other mental health conditions. A person who intentionally overdoses may also be assessed by a psychiatrist or other mental health professional to determine whether he or she is at risk of further harm. Mental health treatment at a hospital may be necessary to help the person cope with their symptoms. Recovering from a Demerol overdose depends on how much of the drug was consumed, the type of treatment provided, and how quickly the person receives help. 3 Victims are more likely to recover from an overdose if they receive naloxone treatment immediately. Demerol and other opioid users who are addicted to the drug are more likely to suffer from an overdose. 4 If you or a loved one has suffered from a Demerol overdose, treatment at a recovery center may be beneficial to prevent future overdoses from occurring. Detox is often the first step in treatment. Demerol users may become physically dependent on the drug and experience withdrawal symptoms when trying to quit. Detox programs are staffed with medical professionals who monitor withdrawal symptoms, administer medications to ensure safety and reduce discomfort, and guide recovering patients to the next stage of treatment. Inpatient or residential rehab programs require that you stay at a facility for a period of time. They provide supervised care 24 hours per day. Those enrolled in inpatient treatment participate in individual, group, and family therapy throughout the day and have the opportunity to focus on their recovery in a safe environment. Outpatient treatment offers weekly individual, group, and/or family therapy. Program participants may attend outpatient centers once or more per week depending upon the program and their stage of sobriety. Additionally, those in outpatient recovery may initially come more often and gradually reduce their participation to fewer sessions per week as they are able to maintain their sobriety. Narcotics Anonymous (NA) is a 12-step support group that offers meetings worldwide for people struggling with addiction to various drugs. NA is a spiritual program that helps members connect with a higher power, admit their powerlessness over their addiction, and remain anonymous. SMART Recovery is a self-help group that differs from 12-step groups. It teaches self-empowerment and tools for change, provides both education and support, and is available in-person and online. Some Demerol recovery programs may use opioid medications such as methadone or buprenorphine (Suboxone) to help users quit Demerol. A physician may prescribe these drugs during detox and gradually reduce the dose during treatment or keep the person on the medication for longer. The medications occupy the same receptors in the brain as Demerol and can help control cravings and make withdrawal more comfortable. 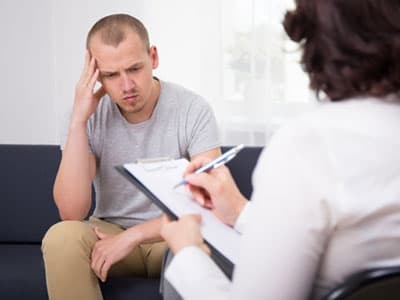 This type of treatment is most effective if the person is involved in some type of therapy while taking the medication. If you would like more information about recovery centers for Demerol overdose, call 1-888-319-2606 Who Answers? to speak with a qualified representative.
. National Institute on Drug Abuse. (2016). Commonly abused drugs charts.
. U.S. National Library of Medicine. (2014). MedlinePlus, Drug abuse first aid.
. U.S. National Library of Medicine. (2015). MedlinePlus, Meperidine hydrochloride overdose.
. National Institute on Drug Abuse. (2016). Naloxone.
. Crane, E. H. (2015). The CBHSQ Report: Emergency department visits involving narcotic pain relievers. Rockville, MD: Substance Abuse and Mental Health Services Administration, Center for Behavioral Health Statistics and Quality.
. Jones, C. M., Mack, K. A., & Paulozzi, L. J. (2013). Pharmaceutical overdose deaths, United States, 2010. Journal of the American Medical Association, 309(7), 657-659.